Make no bones about it the past few months living here in the UK have been particularly testing to say the least, I cant remember a cold period like it extending so far into the year. 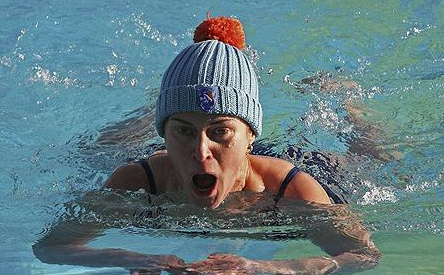 With most of my time now spent on an outdoor pool with my squads, triathletes & swimmers there have been times when the cold chill has tested me to my limits. Never have I been more jealous of the Perth Swim Smooth squads that Paul trains when I see the amazing photos he posts on twitter on a weekly basis (damn you Paul Newsome ! ;+). I’ve spent the last few weeks just dreaming of what it might be like to take my hat and scarfs off and not have to spend 15mins getting dressed to go into work, being dressed like an Eskimo poolside is just so uncool. Saying that though I love my pool and I love being outside and wouldn’t change it for the world, when your athletes keep turning up day after day with a great attitude and work their socks off you can ask for no greater reward. One thing is for sure Ive had to keep my guys moving and engaged when it’s cold like this so my squads are looking fitter than ever. That being said I have never seen a time where frustration for athletes has been so high, the fact most people haven’t been able to get outside to bike or run has lead to a huge amount of panic and worry with the race season quickly approaching. Very few people want to bike outside when we have icy Baltic winds, I don’t blame them quite frankly there is nothing worse than spending a few hours on your bike in cold conditions. It can also present a great deal of danger for the athlete with slippery roads and icy surfaces. I have also never seen a period in all my coaching years where illness and recurring illnesses have been so high. Colds, coughs, sore throats and flu have been endemic and if you think it’s just you that have experienced this then you are wrong. I would say most endurance athletes I know have had one of the most troubled winters ever with recurring illnesses. I’ve been a coach for over 10 years so can see the patterns every year, as soon as we get into the colder months of November through to Feb people get ill. Usually from March – October I see athletes start to become much more consistent with training and that’s because they get less ill. Unfortunately this cold period has extended much later into the year this year so people are still getting ill. Remember you are not alone and I’ve barely seen anyone get through this last period with getting ill repeatedly. So what makes people get so ill during the winter? I guess this is another topic for a blog post but based on my experience I have my own view. Most of the time when athletes get ill or repeatedly ill (and to be clear im talking common colds, sore throats, chest infections etc here) they presume there is something wrong with them. They then usually end up pay larges sums of money to see therapists of all shapes and sizes in search of the miracle cure ( I know I’ve done this myself). They are then giving a whole host of reasons for their illness that usually ends up with them requiring more treatment or expensive remedies. Some of these reasons could be poor diet, low immunity, fatigue, and lack of sleep ..the list goes on and on. To some extent most of these things could be a factor but one thing is for sure I know people who take all the precautions against illness who still get ill and the same for those that don’t – no one seems to be super immune to illness in this day and age. Research has clearly proven that athletes that do more than 3 hours training per week have lower immunity to illness than someone who is just training for up to 3 hours per week. Training is a stress that will compromise an athlete’s immune system, especially when the training volume is significant. Combine this with the fact that most athletes have full time jobs and families then you are throwing in a heck of a lot of stress into the mix, the result being you get ill. Never more so if you also work or live in an environment where there are also a lot of other people around in close contact with you, this could be at home with your children or in an open plan office with your work colleagues. Viruses are transmitted from person to person via airborne droplets, these can also be passed from direct contact – hand-to-hand or hand to surface. Poor hygiene also has a big impact on the spread of illnesses and that’s why children who are frequently in close contact with other pupils spread illness like wild fire, this is then taken home and passed onto the rest of the family. I could probably go on listing situations where illness can be spread but just think of your daily routine and you will see the opportunity to pick up illness is rife. Quite simply if your immune system is suppressed and you are around people who are ill, there’s only one potential outcome. In a lot of these instances there really not a lot you can do about it unless youre prepared to really back off during the winter and go into hibernation, it’s the bad luck of the draw. The only thing you can do when you get ill is to rest and take it easy and don’t compound your illness by training through it. The only magic bullet available out there is time and patience. These common illnesses have been with us since antiquity so there really is no magic cure. If you do get ill don’t beat yourself up about it, this is easiest way to get nowhere fast. Remember you have chosen to be an endurance athlete and are therefore more susceptible to illness, the sooner you accept the better and it doesn’t matter how many times you stomp your feet and complain about being ill – this isn’t going to make you better. So for all you athletes out there that have been worried about up and coming races just remember that everyone has been in a similar position this year so no one has been gaining ground on you, quite the opposite you are all on more of an even keel than ever before. Nobody has been racking up big biking mileage as most people have been keeping it indoors. Nobody has gained ground unless they were the lucky few who might have been lucky enough to go and train abroad for a few weeks or months. Your bike handling skills will be at a minimum but that doesn’t mean to say you cant build great biking fitness whilst training indoors, those of you that dug deep and put those solid turbo trainer sessions into your legs will be in a far better position as the weather starts to turn. I know a lot of you out there have been following some pretty brutal turbo sessions I’ve set to replace your long outdoor bike, within no time at all you will be feeling that strength as you start to accumulate outdoor biking mileage. So as the weather slowly starts to change ( I say this in whisper for fear of reprisals), its important to use every opportunity to get the bike out and renew your once inseparable relationship. Treat your bike like a long lost friend, take it for a tune up at the local bike shop and make sure you’ve cleared of the dust and dirt so at least he/she looks fast even if you don’t feel it. If you haven’t given it a name then I suggest then now is the right time, this helped forge a beautiful relationship from this point onwards. I had a name for all of my bikes and I remember them all fondly. That aside it’s important to know what to focus on when you do get on your bike, you will have lost some of that sharpness and responsiveness. Practice simple handling skills like climbing in the right gear, descending hills safely, breaking into corners etc. Do this carefully first time out then as your confidence grows that sharpness and form control will gradually start to appear. Then before you know it all those hard turbo sessions will start to pay off and you will feel that extra few gears deep down inside your legs. Lastly one other hugely important issue for those with races coming up abroad, this is particularly aimed at guys and girls heading out to Austria 70.3, Mallorca 70 and Lanzarote Ironman. There is an ever present danger that you will spend most of your time before these races training in cool conditions, then going out to race in much hotter conditions. Your fuelling and pacing strategies will need to take account of this so will be talking to you all about this individually. Remember the golden rule when you are not acclimatized to certain weather conditions is to slow down and focus on your heart rate/ power zones. You should also drink to thirst, this is hugely important, so if your body needs more take it and if it doesn’t don’t throw it down your neck, this is the quickest way to end your race with stomach issues. Training is the cold then racing in warm conditions isn’t the same so needs to be accounted for. So as we progress through the next few weeks and months spend good time re-aquatinting yourself with an old friend and take time to smell the roses when you get back out there. Its been a very tough winter for many of you but just remember the fun part is just about to begin. Julian, the weather has indeed been truly horrendous but the squads have been buzzing more than ever these last few months. Can’t believe how many turned out over the Easter holiday period when everyone normally heads for the sunshine. When the weather is like this the turbo is your best friend. It’s boring but you can build great consistent training on there. I tell Shannon it’s “family time” so a double winner in my household! When illness strikes it’s frustrating but the body can repair during this time – focus on what you can do not what you can’t and like you say, everyone is in the same boat so it’s counter productive worrying about it. Hi Julian! Thanks for this. It has definitely been a long slog through the winter. I feel so grateful for our pool….such a rare treat to swim outdoors year round…no matter how cold it is, you always get us warmed up in no time. Nearly finishing up our family visit stateside and look forward to coming back to old blighty and getting training back on track.